Whilst I am primarily a collector these days, I do still re-enact a few times a year. As such I occasionally buy reproduction kit from the various suppliers, either in place of very rare items or to use for safety reasons where it would be unwise to use an original item. 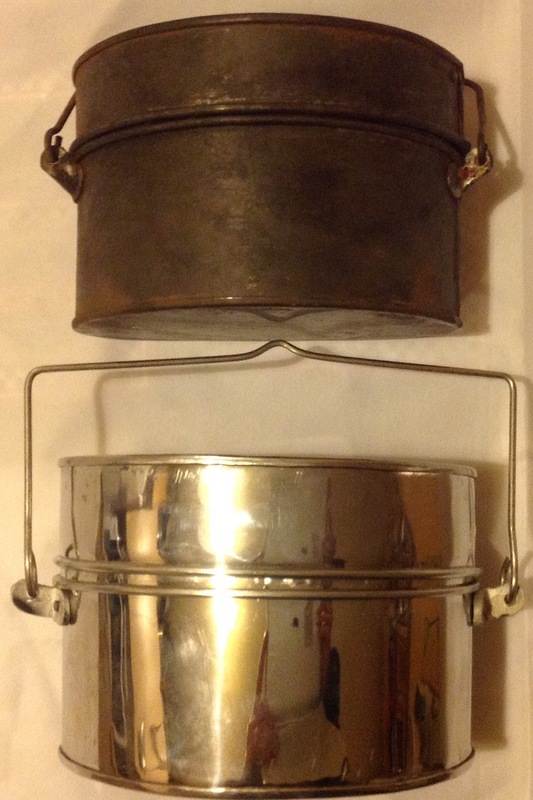 I have just taken delivery of What price Glory’s D-Shaped mess tin and tonight we are going to look at how it stacks up against an original and in comparison to other replicas on the market. Overall the shape of the tins are very good, as can be seen from above they closely mirror the originals: Looking face on, they are fractionally larger than my original tin, but the originals were made over a span of 150 years and by numerous companies so there is a lot of variation anyway: As can be seen the WPG tin has a little kink in the handle that allows the can to be hung on a stick over a fire, my original does not, but again this is not unusual. 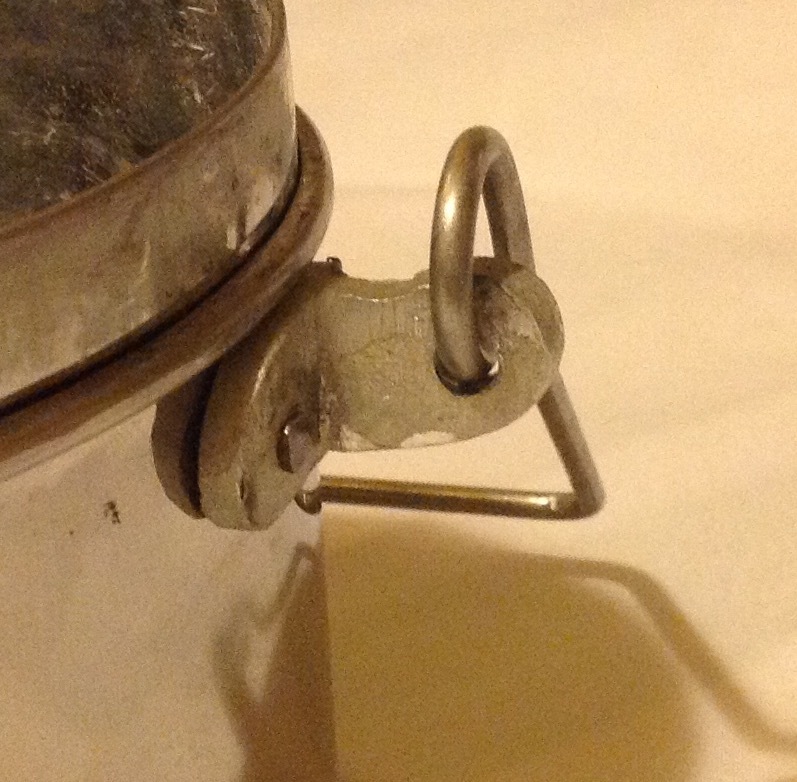 The mess tins have a number of fittings secured to them for their handles. 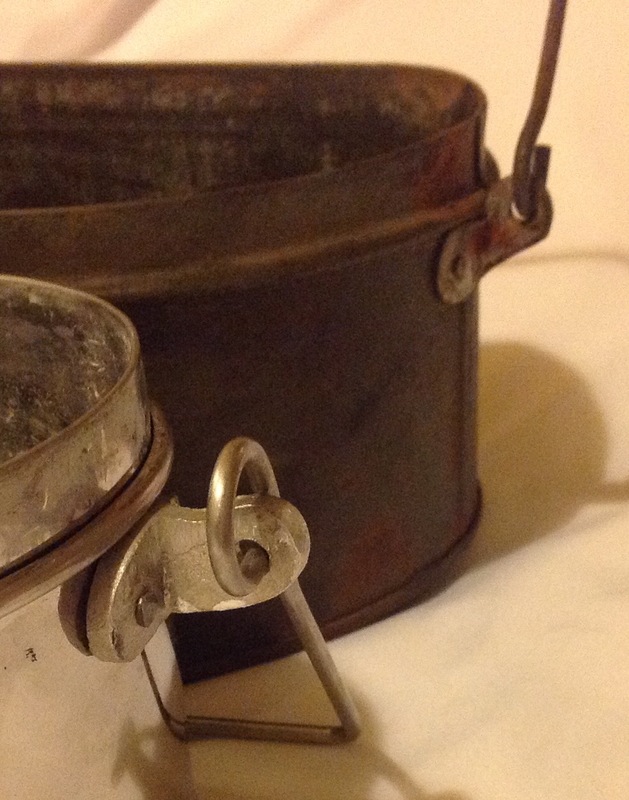 Looking first at the handles on the lid, there is a clear difference between the angle of the handle, the WPG example is a 90˚ to the tin, whilst the original is at a much steeper angle: Also the handle on the WPG is much more crudely riveted on than the original: Both of these things are minor points however, and the design of this handle is very similar to the original. Turning to the base the biggest problem with the tin becomes apparent. The quality of the handle fitting is decidedly crude: A comparison shows the original to have a much finer casting: The fitting of the handle here is, for me, the weakest part of the reproduction, however it is not a major issue and I imagine that with use the whole tin would tone down in colour and get a more realistic patina. The lid is a tight fit and a bit of a struggle to get off, but hopefully this will ease up with use. As has been seen above, the WPG mess tin comes with its own cover. This is a nice touch as every other reproduction requires you to buy one separately. The material for the cover seems a bit dark and heavy, however again a few seasons of use would probably tone it down nicely. Unfortunately the button hole on the front has not been sewn properly and after using it twice the stitching came undone on mine. This might be an isolated incident, but was disappointing. 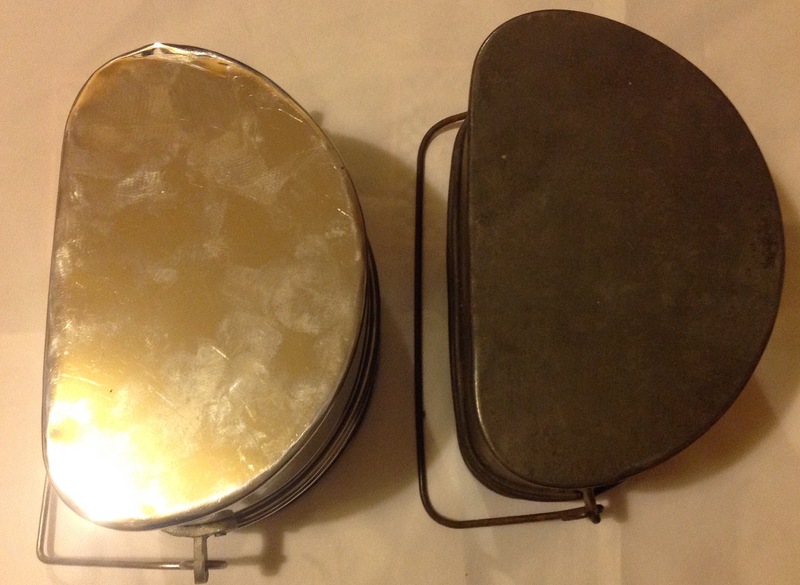 As far as I am aware the only other two companies offering a reproduction D Shaped mess tin are Soldier of Fortune (SOF) and Military History Workshop (MHW). As MHW have been out of stock for months now, I will concentrate on the SOF tin, which I had the dubious pleasure of seeing in person on their stall at the Victory Show last year. 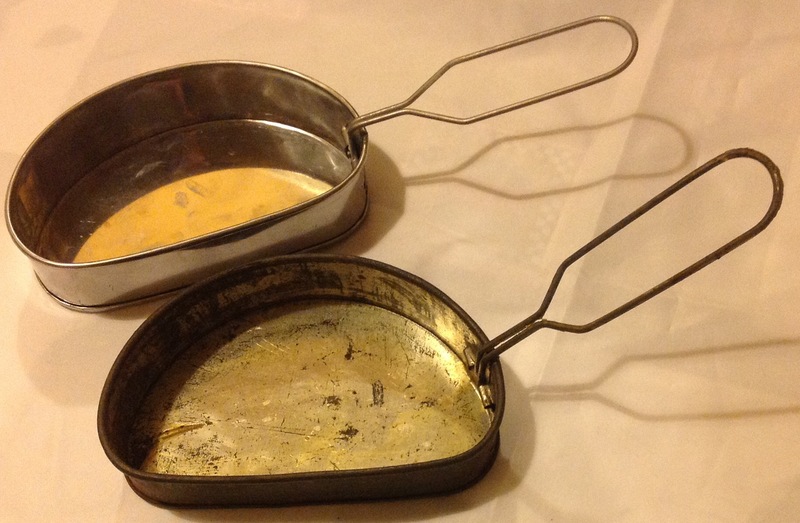 Firstly the SOF tin does have the inner frying pan tray, which the WPG example does not. In terms of shape there is not much between them, however the un-resolvable problem with the SOF tin is the material it is made out of. It appeared to be made out of some highly patterned steel, reminiscent of a galvanised bucket. Both the original and WPG’s example are made from traditional flat metal, without this pattern on. For this reason, and the included cover, I can only recommend people buy the WPG example. It is not perfect, but in my opinion the problems are very minor and it is the best on the market at the moment. The tin is currently out of stock, but I imagine it will soon be back. It is listed at $37, which is about £24.30. It is listed here. 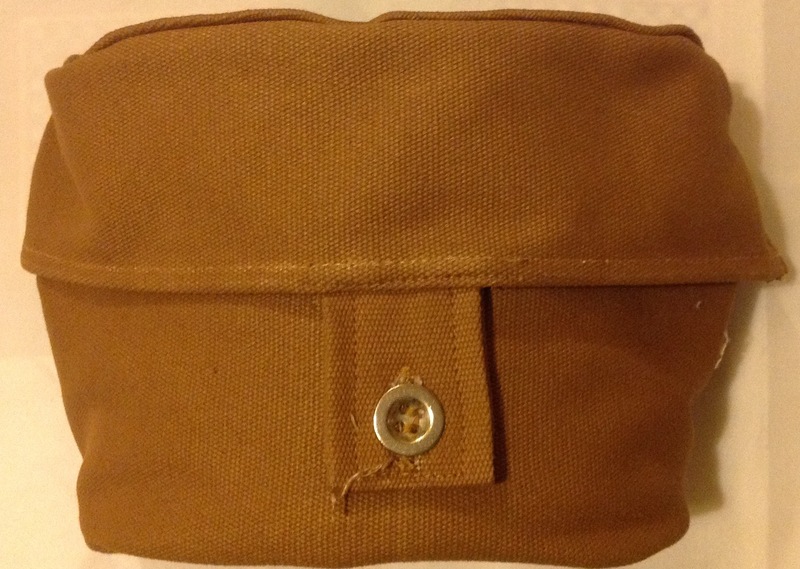 This entry was posted in British Army, equipment, Mess tins, Pre WW1, Reenactment, Reproductions, Reviews, WW1 on January 19, 2015 by hatchfive.